Digital Marketing Being the most recent advancement in the marketing industry stands out as a very performance oriented skills set which keeps the possibility of delivering high retuns back to the Businesses. But Due to lack of awareness about digital marketing, Businesses even in the Urban cities like Raipur & Chhattisgarh lack the visibility of their businesses online. Here due to high gap in Awareness and Supply of Seasoned Digital Marketers Webfame Digital Marketing -there is high demand for DIgital Marketers in Raipur region as well. 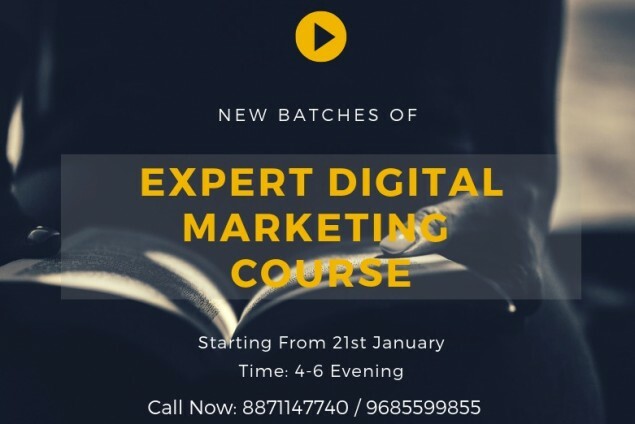 Through its Expert Digital Marketing Course attempts to bridge the gap and train the candidates on the best practices of Digital Marketing and en route candidates to businesses in need of Expert Digital Marketing Candidates to skyrocket their business presence Online. Being Part of Ever Growing and Interesting Digital Marketing Industry. An opportunity to be pioneers of Digital Revolution which has just started. Ability to Be Certified by Various International Organizations like Google . Possibility to Start Own venture Instead of Regular 9-5 Jobs. No Risk of Jobs being taken over by Robots and Artificial intelligence. No particular education background needed. We will make it that simple. Adding Digital Marketing Skills to your Resume and Being a Hot Cake in Job market. Standing Shoulder to Shoulder with E-commerce websites & other Online competitors. Reaching Global Audience for your business and Grow your business worldwide. Reaching your Audience when they Search for your product or related product or your competitors (YES ITS POSSIBLE). Ability to Run Branding Campaigns to mark your Business presence at lowest cost. Ability to Run Conversion Campaigns to Run get Sales out of your business. Using Social Media to Interact And Educate your Audience in most effective ways. Nurturing your buyers at different stages of Buyers Journey.